Stone and brick veneer, or stacked stone veneer, is a lightweight, protective, stylish covering that can be applied to the exterior of commercial or residential buildings. Because it’s made using the molds of natural stone, it retains the texture and look of real stone, without the time, hassle and additional supports required to install it. It’s a great custom exterior finish for any special application you have. There’s no denying the natural beauty and elegance of real stone, but the long, involved installation process and hefty price tag can make it unattainable. Stone veneer has become a popular choice in recent years, because it’s manufactured using molds of real stone, which can make it nearly indistinguishable from natural stone while it adds design freedom as it adheres easily to many different surfaces that natural stone may not. Also, because it’s made from polyurethane, it’s significantly lighter than natural stone, making it easier and faster to install and manipulate. Stone veneer offers variety in colors and patterns and expanded options regardless of geographic region; natural stone is usually locally extracted, which limits material offerings. Durability. 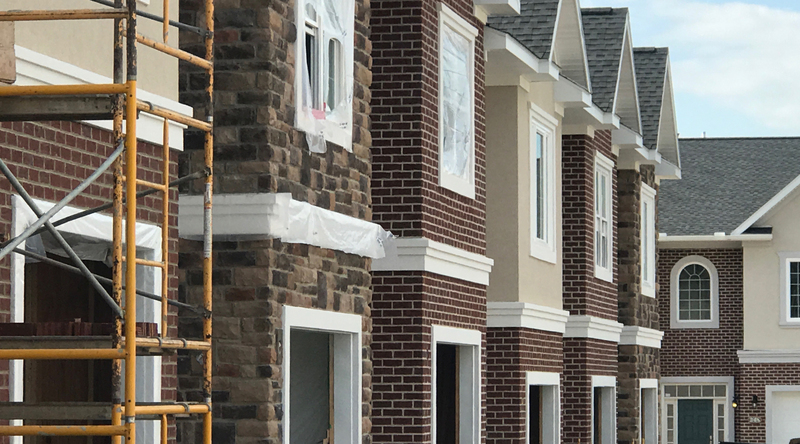 Stone and brick veneer’s strength reduces natural wear and tear, and is designed to withstand harsh weather conditions while retaining its color and texture over time, outdoing even real stone or brick. Pest Proof. A faux stone wall will not attract pests, termites or carpenter ants. Green. Production of stone veneer requires less energy than mining quarries for stone, leaving a smaller carbon footprint. Installation. Stone and brick veneers are lightweight and easy to install, requiring no special tools or supports. Cost. The material costs a fraction of real stone and the lightweight nature of stone veneer significantly lowers labor costs.